Hey everyone. 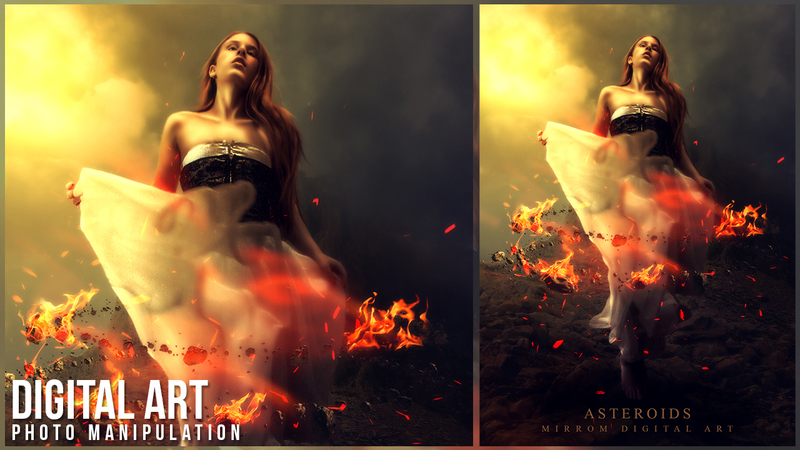 In this tutorial, I will show you how to create "Asteroids" photo manipulation in Photoshop. First I will combine images of the mountain with clouds and then a asteroids wrapped around a model that makes the scene seemed to bring the model to fly. 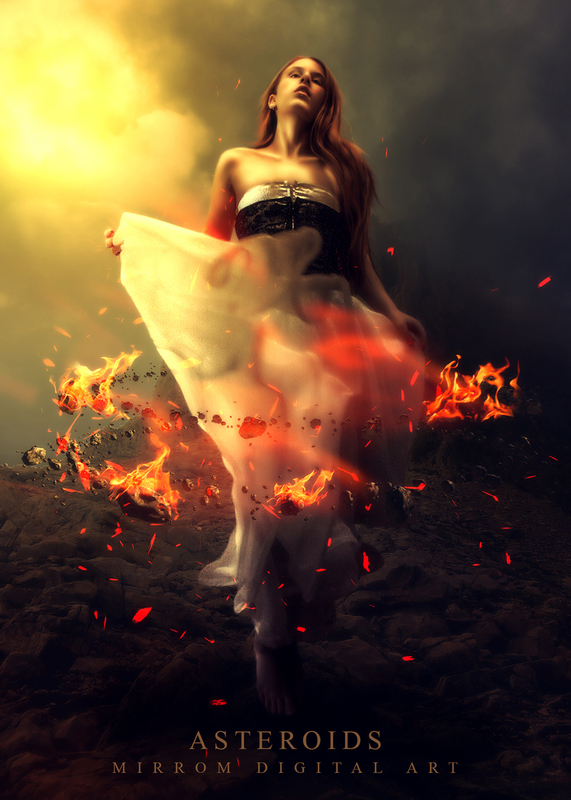 I will also add other objects such as fire and spark to create beautiful digital art effects. The material will we learn here is how to create and save a selection, blending, masks, adjustment layers, color mixing, blending and filter effects. Before we begin please you can download stock images below! It's so helpful as a graphic designer, please help also in print designing and corporate designs like, microsites, landing pages, edm etc and some other important knowledge like how to convert RGB file to CMYK for print. Need for some great tricks of tools. thank you a lot. The costs charged by various image editing administrations rely on upon the measure of work required in Clipping Mask Service.